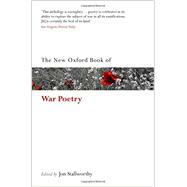 Jon Stallworthy is a poet and Professor Emeritus of English Literature at Oxford University. He is also a Fellow of the British Academy. He is the author of many distinguished works of poetry, criticism, and translation. Among his books are critical studies of Yeats's poetry, and prize-winning biographies of Louis MacNiece and Wilfred Owen (hailed by Graham Greene as 'one of the finest biographies of our time'). He is an editor of The Norton Anthology of English Literature and of the definitive edition of Wilfred Owen's poetry.